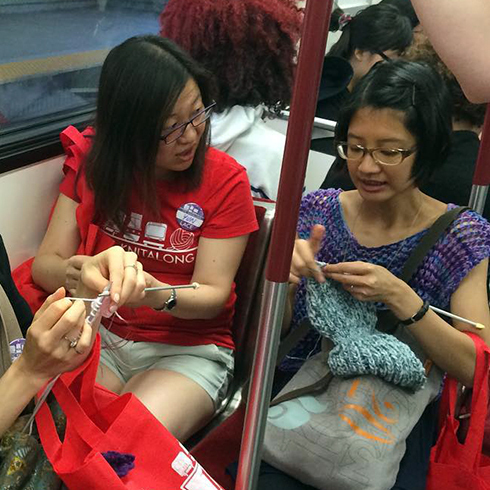 At the TTC Knitalong — an annual charity event in which groups of crafters spend a Saturday travelling (and knitting/crocheting) on public transit to visit multiple yarn shops across the city. 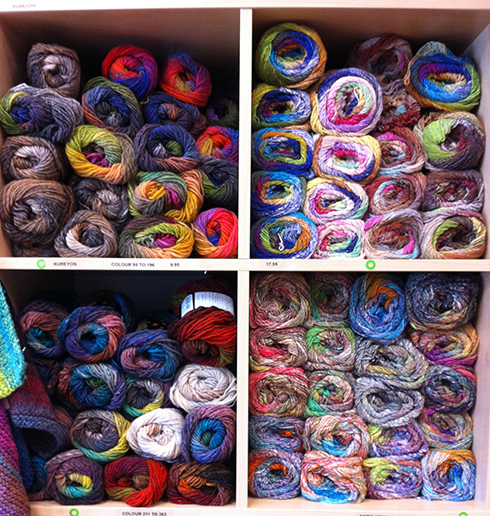 Proceeds of the event go to a local women‐centered agency, participants get to hang out with fellow crafters and meet new people, yarn shops get lots of visitors and love — everybody wins! Whoever invented this is a genius. It is in its 10th year and this year’s got the biggest turn out yet! The only disappointment is that I didn’t know about this in previous years… will definitely join again next year. 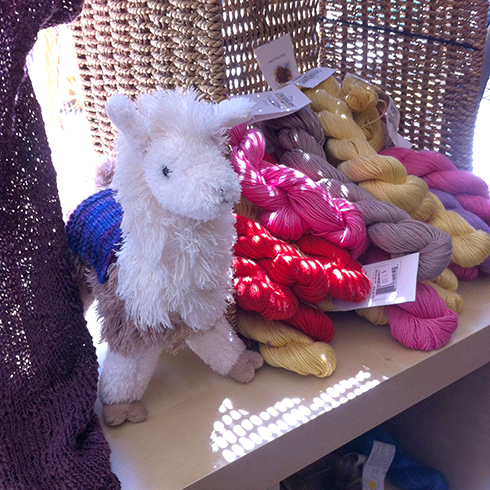 My group started at Wool‐Gathering in the west end. 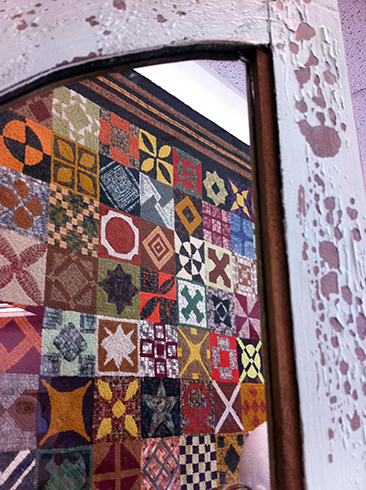 It has on display this beautiful rug, which makes me want to learn rug hooking one day. 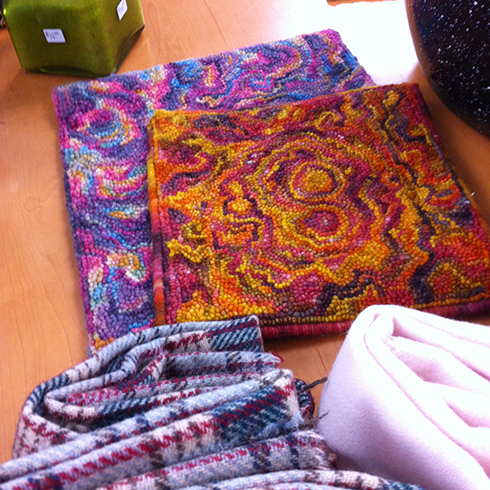 I also love these small rugs with vibrant, abstract designs. 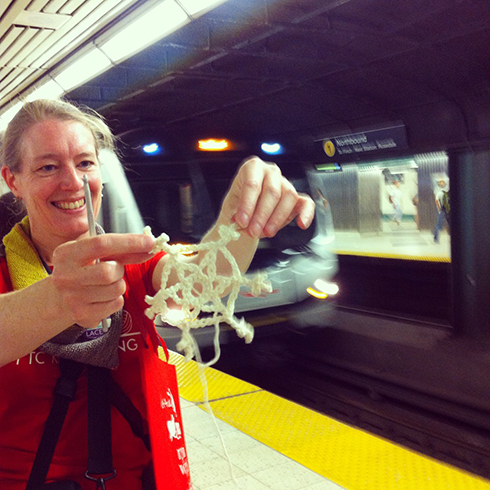 In the meanwhile, our other team captain completed a snowflake on the subway while standing the entire time! We spent some time on the patio outside. 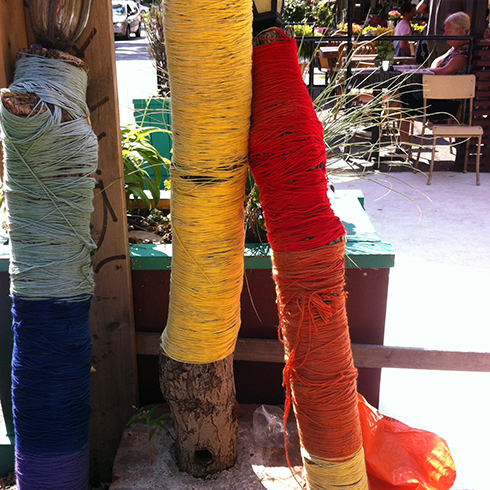 Spotted these cheerful yarn‐wrapped branches. My phone camera does not do the colours and sunshine justice. 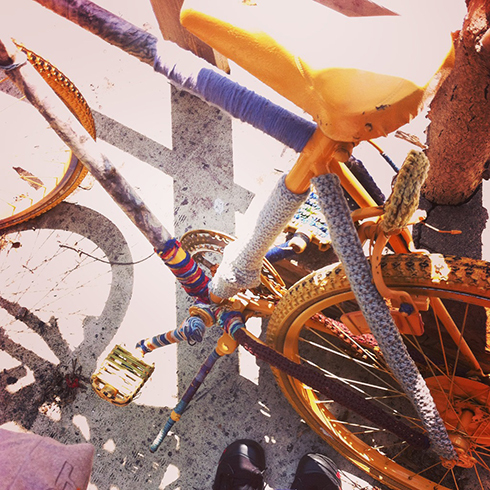 And this beautiful yarn‐bombed bike! 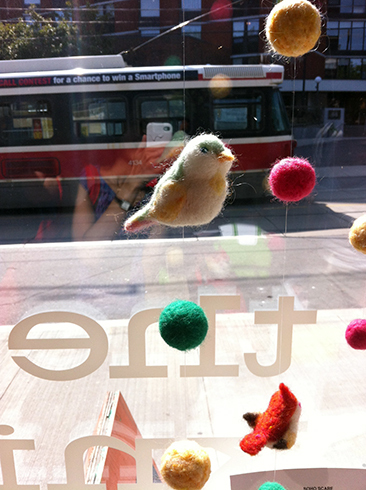 … and arriving at our final shop, The Knit Cafe :D I’ve always been a big fan of the shop and its fabulous window displays. 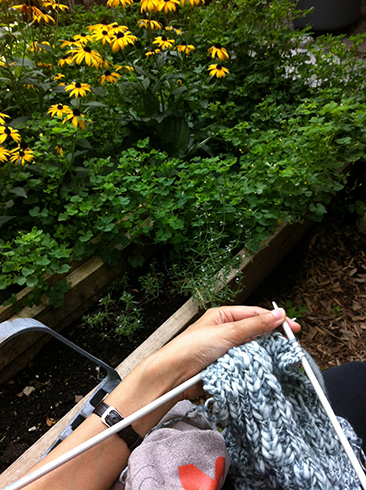 Found the secret knitting garden. 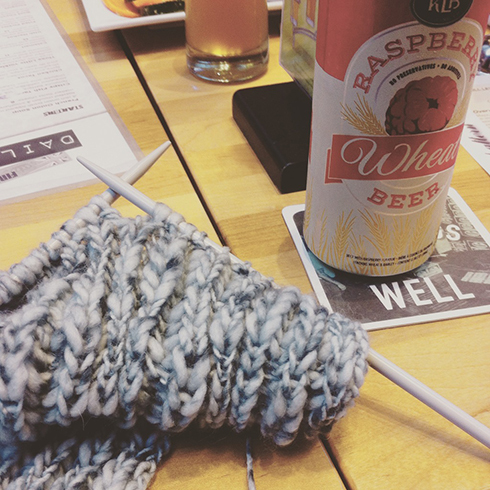 Here we are at our final stop, the Firkin for drinks, food, and more knitting. I didn’t buy a whole lot that day, wasn’t at all prepared with shopping list or even project list, and feeling slightly overwhelmed most of the time (not a bad thing though), mainly because I didn’t know what to expect. But I did get a skein of hand‐dyed wool from Wool‐Gathering (far left), because the colours remind me of sunsets, and a giant skein of Cascade Ecological wool (centre), because I love the colour and it was the last skein on the shelf (I already have an idea of a sweater for it, but have to finish my holiday crafting first). ALSO! 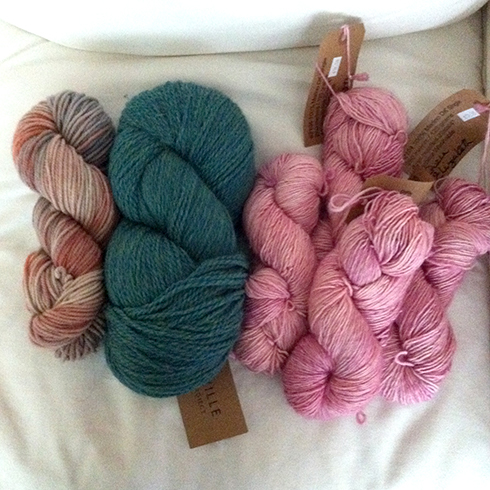 I won a draw at Lettuce Knit, which generously donated 4 skeins of wool the colour of strawberry ice cream :D I was rather surprised, because I don’t ever win anything. 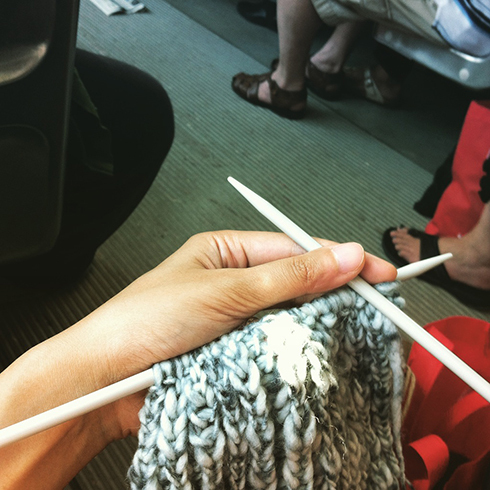 I actually don’t knit or crochet on public transit very often, because sometimes I get motion sickness from it, especially on the bus. 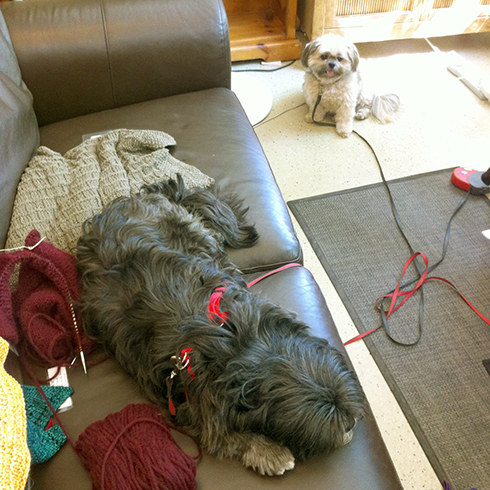 But after the knitalong I think I will start bringing my knitting to work, so I can at least knit after work on the subway (there is no hope of getting a seat in the morning, and I haven’t developed the skill to knit/crochet while standing yet :P). It’s actually quite calming, and I think it will do me more good in terms of de‐stressing than playing Angry Birds. Such a fun day! You always take the prettiest pictures. 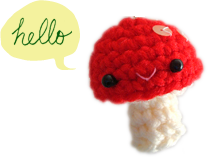 My husband and I will be driving to Maine from our home in Fairborn, Ohio, via Toronto in a few weeks, and I always take crochet projects with me. 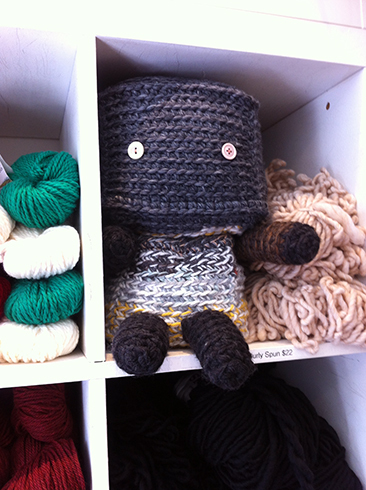 I might be able to talk him into stopping in at a yarn shop if I promise him we will stop for beer also. :-) If you are interested in a road trip, there will be a wool gathering at the dairy in Yellow Springs, Ohio next month. //youngsdairy.com/ has all the info. 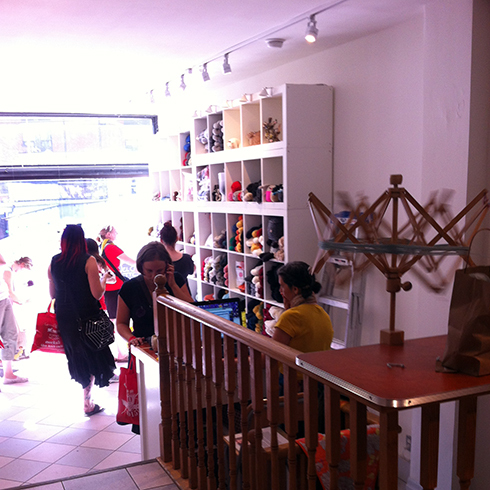 It is a fun place to visit. I am usually overwhelmed by all the pretty things and have to force myself to not buy! Keep taking pictures. I love your posts. 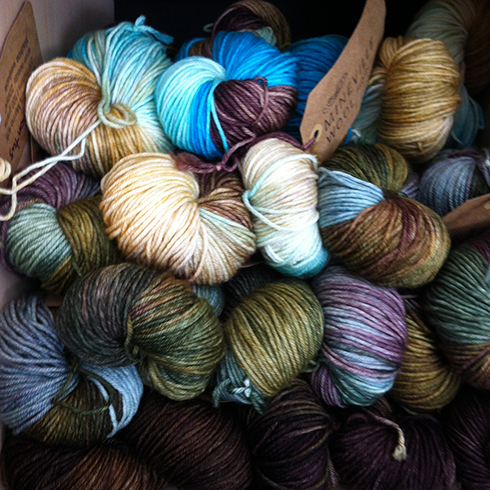 I really wish there were enough yarn shops around here to do some kind of yarn crawl. It looks like you had such a lot of fun.